Last year, the Pixel 2 was hailed for its Samsung display while the Pixel 2 XL was heavily criticized for its LG panel. This year, though, it would appear that tables have turned, with the more expensive phone opting for the traditionally better display. Last week, it was revealed that—going against all previous information—the Google Pixel 3 XL features a Samsung display instead of an LG one. 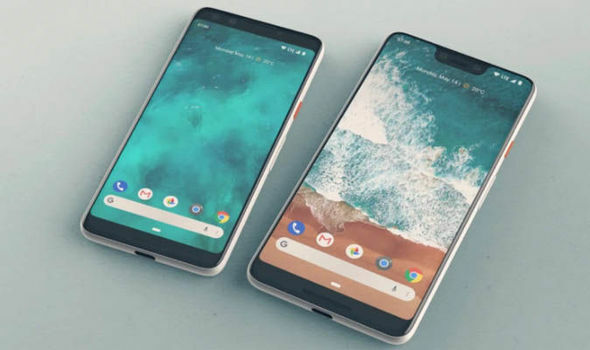 If that wasn’t enough of a bamboozle, the fact that the smaller Pixel 3 is what opts for an LG display panel this time around may just do your head in. 2017’s Pixel 2 XL sported an LG display and received a lot of flak for it, while the Pixel 2 went with a Samsung one, with no negative reviews. According to iFixit, the tables were turned this year, as the Pixel 3 features an LG panel while the Pixel 3 XL goes with a Samsung one. While the average tech enthusiast out there must have become wary of LG’s mobile display technology, it would appear that the company has made massive improvements in that department, as the Pixel 3 is yet to receive any criticism for its display. That’s particularly impressive when you consider the fact that the display on LG’s last OLED device—V40 ThinQ ignored for obvious reasons—the V35 ThinQ, also received less-than-outstanding hands-on reviews from users. While we wouldn’t expect LG to have caught up to Samsung in the mobile OLED market, it’s still impressive that the former has improved this much in so little time.